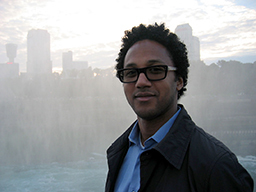 André Fenton is a recognized neuroscientist, biomedical engineer and entrepreneur working on three related problems: how brains store information in memory; how brains coordinate knowledge to selectively activate relevant information and suppress irrelevant information; and how to record electrical activity from brain cells in freely-moving subjects. His lab recordings of electrical brain activity are elucidating the physiology of cognitive control and cognitive dysfunction in schizophrenia. Dr. Fenton is a Professor at the Center for Neural Science at New York University. He founded Bio-Signal Group Corp., to develop brain-recording technology for medical applications that include enabling the rapid assessment of a patient’s functional brain state for emergency medicine.